Jeff is known as one of the areas most accomplished civil and criminal litigators. 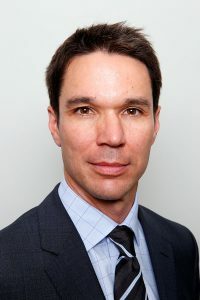 He has represented clients successfully at all levels of court in Canada, including the Ontario Court of Appeal and the Supreme Court of Canada. Jeff is an accomplished triathlete who has a competed in a number of triathlons, including Escape from Alcatraz where he finished in the top 10% overall. Jeff has also qualified for the US National Sprint Triathlon Championships. Invested in his community, Jeff has been involved in a number of charitable and non-profit organizations including the Greater Peterborough Health Services Foundation, the Arborough Games and the United Way Cabinet. Jeff was born and raised in Peterborough. He returned home to practice law in Peterborough after articling at a highly respected Bay Street law firm. Jeff and his wife, Arlynn Dupuis, have two children.